I have a friend that says his favorite kind of beer is a free one. So he seems the perfect target for Budweiser’s new campaign that involves free samples. I, on the other hand and given the choice between a free Bud or no beer at all – well, let’s just say it would be a dry night. With the campaign announcement resulting in more than 200 news articles and blog postings, I was interested in seeing what others thought about free Bud. One would assume a posting on The Consumerist would lead to a discussion of the marketing merits of the campaign . . . Wrong. The comments mostly provided a list of other beers to drink. The USA Today article was even more interesting as most comments complained about how Budweiser is no longer the “King of Beers” because it’s owned by Belgians. Four hours into posting, the article announcing the free beer, in the St. Louis Post-Dispatch, had no comments. Shouldn’t Budweiser’s hometown be a bit more excited? It seems the campaign’s initial media splash is not delivering the enthusiasm Budweiser was hoping for. Maybe the Bud marketers should take a lesson from LifeHacker and add vinegar to its brew. But it better be American vinegar, not Belgian! Entry filed under: Business Development, Media Industry, Media Relations. 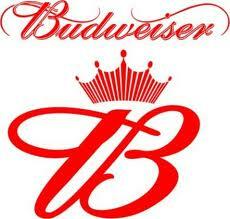 Tags: comments, free Bud, marketing campaign, media splash.